It’s the end of an era for the Los Angeles Memorial Sports Arena, which has closed its doors after 57 years. It hosted legendary sports events, political conventions and concerts. This year, the newly formed Los Angeles Football Club will break ground on a 22,000-seat arena in Exposition Park. The soccer stadium will be built where the LA Memorial Sports Arena now stands, awaiting demolition. Before it closed this spring, the Sports Arena was home to more than half a century of history. When the building was erected in 1959, then-Vice President Richard Nixon dedicated it. 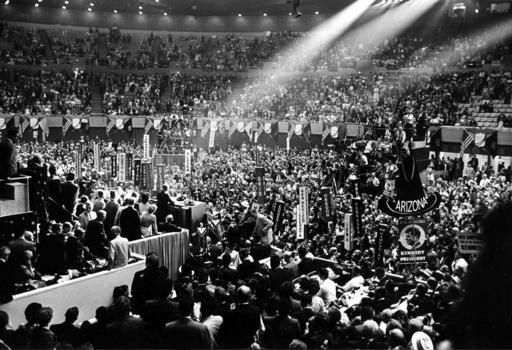 The next year, it played host to the 1960 Democratic National Convention, where Senator John F. Kennedy of Massachusetts accepted the nomination for president. Over the years, it served as home court for the Lakers, the Clippers and the Kings, and was a stage for the likes of Madonna, Michael Jackson, Bob Dylan, James Brown, U2, Pearl Jam – and, most famously, Bruce Springsteen. “The building itself … still operates very well considering the years that it’s put into to the lifespan of LA’s sports and entertainment industry,” says Brian Grant, Director of Operations for the LA Memorial Sports Arena and Coliseum. The building was designed by the firm of architect Welton Becket and has an interesting midcentury design that makes it a timeless live event space. The Los Angeles Conservancy considered saving the Sports Arena, but passed on it in favor of funneling funds into renovating a different historical venue: the Forum in Inglewood. 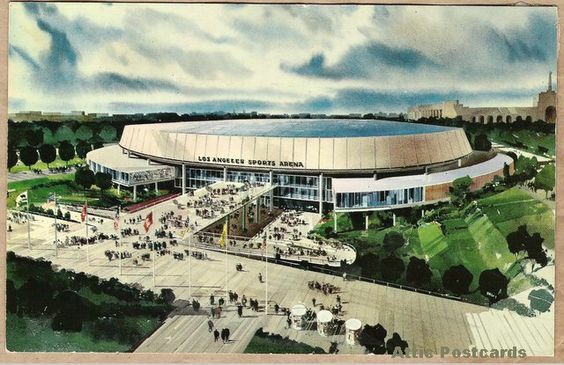 While the Forum got an upgrade, the Sports Arena’s aesthetic remained entrenched in the past. “There hasn’t been a change out of the seating and the bowl structure since the building opened,” says Grant. “The ‘Straight Outta Compton’ production loved the look of the building, because it stayed completely unique and stayed completely original,” says Grant. Some of the original seats and furnishings from the 57-year-old arena are up for public sale in an online auction that has been extended through July 14 at 1 pm PST. Bidders can take home a piece of LA history – like LA Kings superfan Larry Vanderveen, who drove from Alberta, Canada to pick up three vinyl seats from Section 14.